Modern Lighting Ideas: Modern Wall Lighting Designs For Every Home! Creating the best mood can be tricky, with the right lighting design you’ll feel like you are right where you need to be. When it comes the time to furnish your home you’ll always need precious advice to get the right lighting designs. Be it your loved ones helping you or just going through the motions, no need to look further! We have the modern wall lighting designs to envy and create the right way to fit your home! Come Along and Get Inspired! GET THE LIGHT: Modern Lighting Ideas: All Time Modern Lighting Designs! First, we have Piazzola. Perfect for a modern bedroom design, this mid-century wall design is the one to create the mood in this special day! Creating the mood like no other, this wall lighting design is one of a kind. The second stop on this unstoppable train of style! We have the incredible charm of Brubeck. 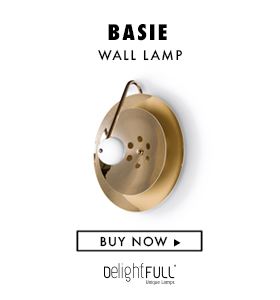 Featuring a gold plated finish, this wall lamp decor is perfect if you’re trying to create a classic home design. Third stop: Charles. This amazing modern wall lamp will turn your living room layout like no other. Featuring iconic style and bringing luxury into the mix, this modern lighting design will certainly get all the attention! Now, now … We have Pastorius! This industrial style wall lamp will certainly bring the child play and style into any children room decor. The way it fits into any home interior decor is fabulous and it brings with it the iconic style you’ve certainly want! At last, we bring you Atomic. The mid-century style combined with the space race and innovation was the key factors of this wall lighting design. Made to be the focal point of any home, this modern wall lighting design is the one to attract all the attention! The best for last aren’t we, right? So, we bring you, Basie. This iconic lighting design that is the one you truly want in your mid-century modern home. The perfect marriage between the luxury and simpleness of the world of the mid-century style. GET THE LIGHT: Modern Lighting Ideas: The Perfect Valentine’s Day Mood is Here!